There’s a lot more to craft beer than just a beverage. Each and every craft beer comes with its own unique history. Craft brewers have developed their unique flavours over years of trial and error—finally bringing you the refined tastes you’ve grown to appreciate. We believe that these stories must be showcased. That’s why we proudly host an online platform known as The Hoppy Hour. What makes craft beer different to commercial beers? Well, it’s more than just organic ingredients, great flavour and specialized brewing methods. An important part of what distinguishes our micro breweries from commercial beers is the stories behind each beer. Every variant we promote has a history behind it—and these stories are told on The Hoppy Hour. There’s something very personal about selecting a craft beer as your beverage of choice. Someone was intimately involved in bringing you that beer, and we want you to understand the story behind it. Read about the creators of your favourite beer and be a part of the culture you’re experiencing. 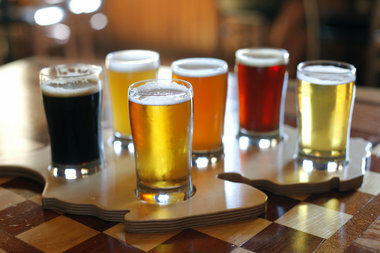 Beer styles have to do with how various types of beer are created. As you are aware, there are various differences between a beer, ale, stout and lager. There are other styles that are emerging too; some of which are returning old favourites, and others that are new on the scene. This portion of our website explains these differences and looks at how each one is created. What distinguishes one beer from another? The Hoppy Hour also includes beer tasting notes on our variety of beers. Each brand has its own character and we want to educate beer lovers on how to distinguish one beer from another. Some beers focus on crispness while others have a distinct flavour. Ingredients have a huge influence on how well a beer goes down. Textures, aromas and colours; they all play a part in making a beer what it is. The Hoppy Hour will transform you from a beer lover to a beer connoisseur. Food and beer – what goes with what? A beer is great on its own; but it’s even better with a meal. The Hoppy Hour boasts a section on food-beer pairing where we tell you which beers go well with certain meals. 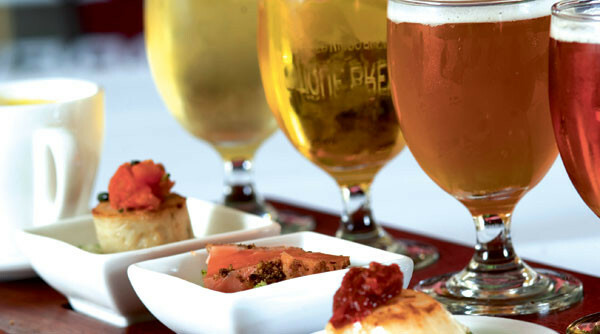 Enhance your dining experience by choosing the right beer for the right meal. Besides, we’ll take any excuse to enjoy a fabulous beer with friends, family and co-workers. The Hoppy Hour captures the essence of what craft beer is all about. Anyone can drink a beer, but only a true beer lover learns to appreciate the intricacies of a distinct brew. Allow us to take you through a journey of stories, recipes and brewing methods. Once you understand where your beer comes from, you’ll recognize the value in every sip.